The Supreme Court ruled the State of California must pay all legal fees associated with the failed case. Remember when the Supreme Court ruled last year that videogames were protected by the First Amendment and could not be regulated based on "mature" content? The case was a landmark victory for the rights of the industry, and the ramifications of the ruling will be felt for years to come as games become a bigger part of our culture. One of the short term benefits of the ruling is a big wad of cash. The Supreme Court today said that the failed lawsuit brought by then Governor of California Arnold Schwarzenegger and State Representative Leland Yee was so wrong that the State of California must pay for all legal fees associated with the case. The $950,000 in lawyer's fees must be paid from California's budget, which when added to the two previous defeated suits in lower courts, amounts to a total payment of $1,327,000 to the Electronic Software Association. The ESA plans to donate part of that sum to fund after-school education in the Bay Area of San Francisco. "Senator Yee and Governor Schwarzenegger wasted more than $1 million in taxpayer funds at a time when Californians could ill afford it," said Michael D. Gallagher, president of the ESA. "However, we feel strongly that some of these funds should be used to improve services for California's youth." While I applaud the noble goal of donating some of the funds for a good purpose rather than just lording over the money - a brilliant PR move by the ESA, by the way - that's not really the point. The ESA's statement pulls no punches by stating that all of the money wasted could have gone to fixing the economic woes of the state instead of attacking an industry that contributes $2.1 billion to California's economy. "Entertainment software companies directly and indirectly employ nearly 53,000 Californians with an average salary of more than $97,000 per year at 267 facilities," the statement read. That is significant, and our government should be working to foster such industry instead of trying to unlawfully regulate the content of a small number of videogames. Covering game-related news is an endless pursuit and we sometimes lose perspective on cultural issues that really matter when reading and watching all we can about the latest titles, so it's understandable that we have moved on from remarking on the Supreme Court decision. 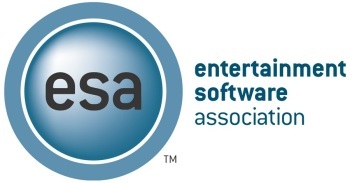 Still, it is refreshing to be reminded just how important Schwarzenegger v. Entertainment Merchants Association was as a giant leap in the maturation of the gaming medium. And given how our pastime is besmirched in the mainstream media time and time again, we gamers are entitled to a bit of smugness as the ESA collects the wasted fees. Hell, even a few "I told you so"s and "Na na nee, poo poo!" are in order. Read the story of what it felt like to be in the courtroom when the oral arguments of Schwarzenegger v. Entertainment Merchants Association was heard on November 2nd 2010.